Why are so many unbelievers turning away from the message of the gospel? Doesn't the Bible tell us how to bring sinners to true repentance? If so, where have we missed it? The answer may surprise you. Here are the facts: Evangelical success is at an all-time low. We’re producing more backsliders than true converts. The fall away rate from large crusades to local churches is between 80 and 90 percent. Discover when, why, and how the enemy buried an important key needed to unlock the unbeliever's heart. 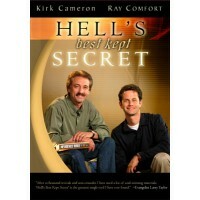 Now Ray Comfort boldly breaks away from modern tradition and calls for a return to biblical evangelism. If you're experiencing evangelical frustration over lost souls, unrepentant sinners, and backslidden "believers," then look no further. This radical approach could be the missing dimension needed to win our generation to Christ. "The best book on the market, a must read! If you call yourself a follower of Jesus Christ (a Christian) then this book is a must read. 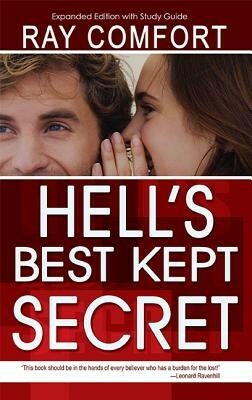 This book will drive you to live the way first century believers did." "This little book on evangelism is the best I have ever read!" "It's one of the most politically correct Christian books ever written. Forget the movies, forget the CDs, and even forget other Christian books, get this one, and read it until you memorized each page. It's worth your time and energy." "I can't say enough good things about this book. 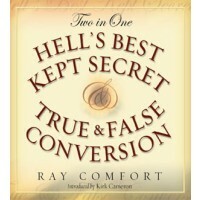 Ray Comfort has written a great book. [It] was life-changing for me. I don't have to words to express how thankful I am for this book. My life will never be the same." "This book is superb. As with most of Ray's books it is easy to read and funny." "This is an amazing book! It's contents have the ability to change your life forever!" "I am a bit of an apologist. I have studied everything from the physics of the earth's magnetic field to the arguments for natural law to the history of every heretical Christian offshoot to Greek and Hebrew word studies. However, I think that the argument that this book uses is able to simply blow all of my studying out of the water in terms of its ability to assist in witnessing to others about God." "I first read this book in late 1989, and it revolutionized the way I witness. The message contained in this book is so important that I've shared it on three continents, plus with people all over the world through the internet."